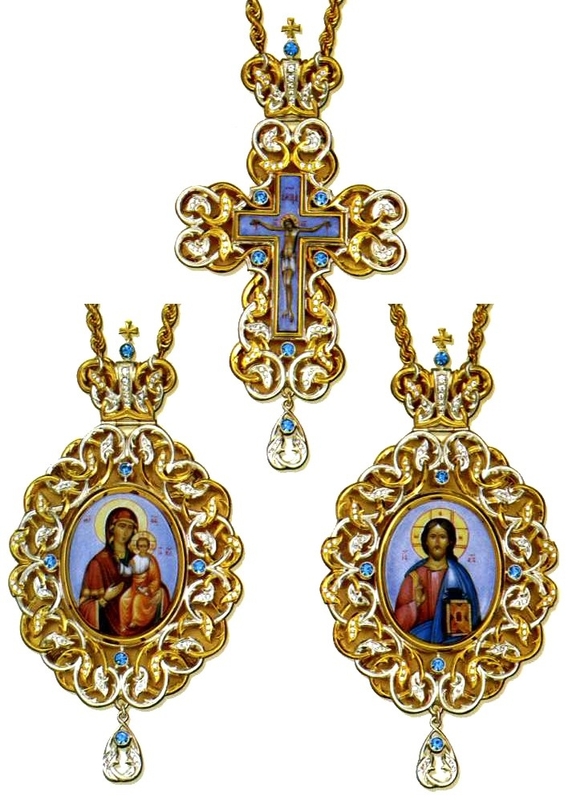 Istok Church Supplies has, for your consideration, a unique collection of highest quality Orthodox Bishop encolpions, encolpion sets and panagias in traditional styles so that you can shop with 100% confidence and satisfaction. 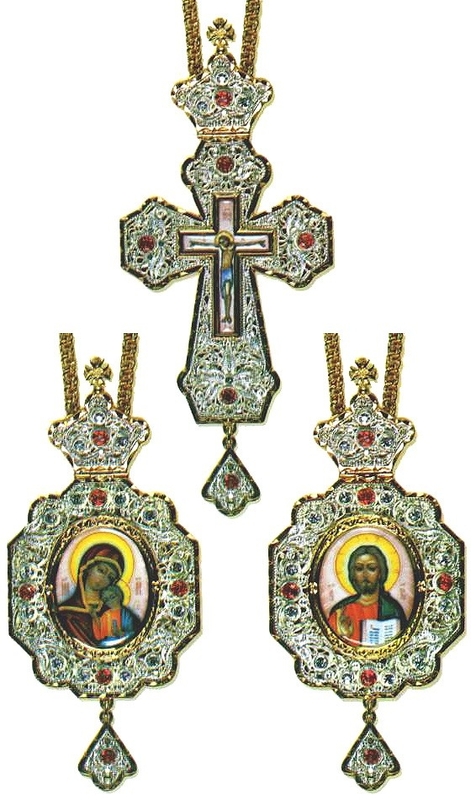 Orthodox encolpions sets are items of ecclesiastical jewelry that are worn exclusively by Bishops as part of their official vestments. Encolpions made from wood are simple in design and worn during the holy Lenten period. 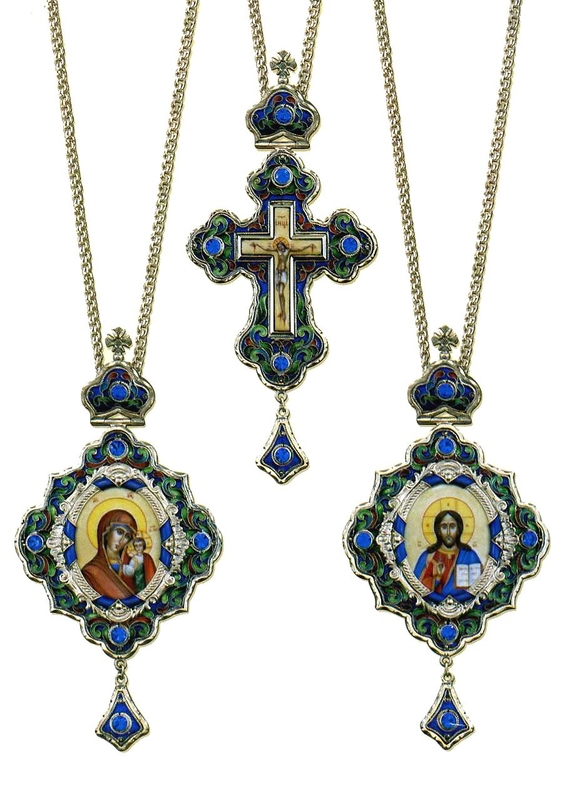 Panagias are ornate encolpions, featuring design elements such as stones, intricate filigree work and enamel work that add to their beauty. 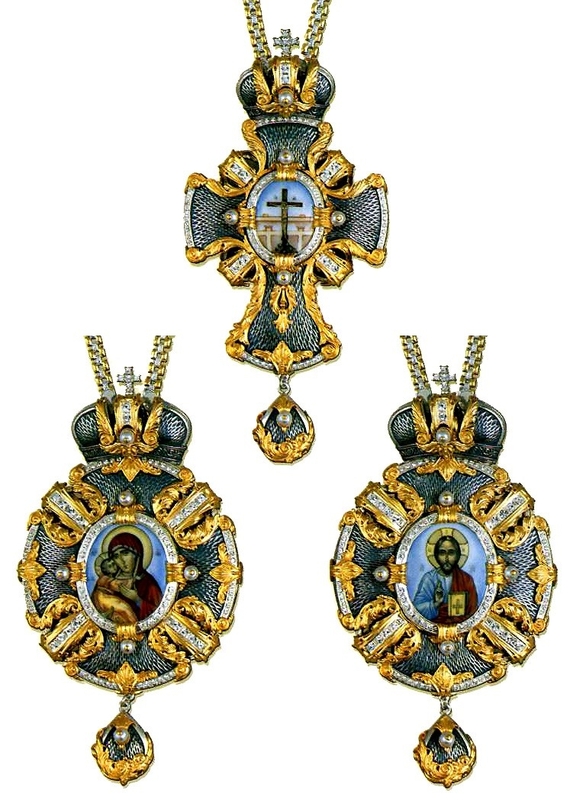 Panagias are worn by Bishops during non-Lenten times. We offer a wide range of panagias with silver or gold gilding to suit diverse budget considerations and aesthetic tastes. 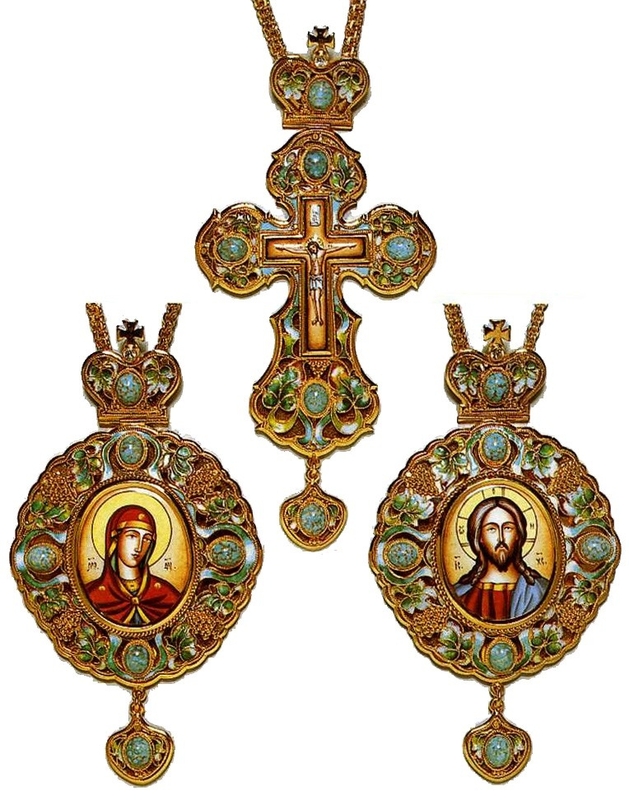 Our canonically correct Orthodox Church panagias and encolpions have traditional designs and are meant to be suspended from a chain and worn around the bosom. In traditional designs, the medallion is topped with a traditional mitre design and has a small pendant hanging freely at the bottom. 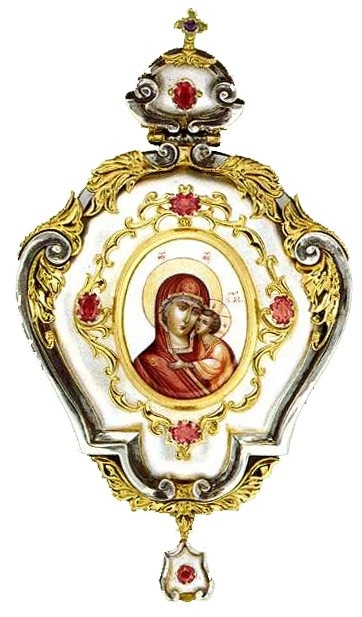 The icon at the center of the medallion is of Theotokos (Holy Virgin Mary) and infant baby Jesus. We understand that our items need to be worthy of a Bishop’s high standing within clergy and society, hence we have taken care to depict everything the right way. Our superb quality Orthodox Bishop encolpions made from solid wood incorporate elegant handmade carving details rendered by our artistic craftsmen in Europe. 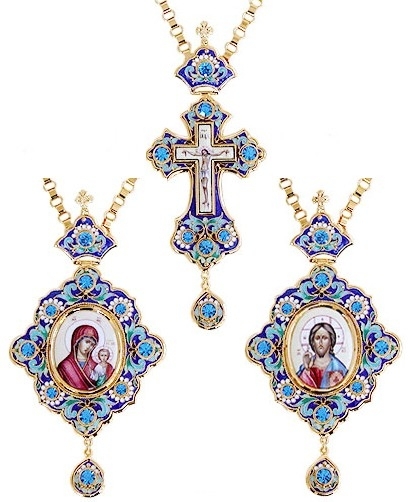 Our master tradesmen are also well versed in the ancient art of enamel painting, metal casting and jewelry filigree work which they use while making fine panagias. Each design is a work in progress until it attains perfection. 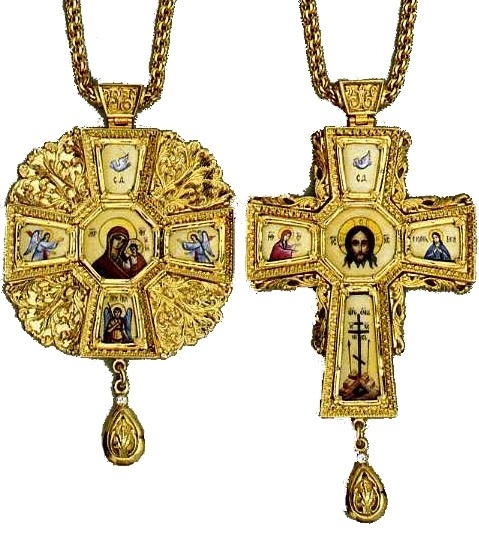 Some of our panagias for Orthodox Church bishops come with a chain, so you don’t have to purchase one separately. The items in this category are available in many different shapes including square, oval, rhombus and others. We only offer items we think our customers would be proud to display and wear. Browse through our collection of peerless encolpions and make great savings!